Yeats wrote, "I like mathematics because it is not human and has nothing particular to do with this planet or with the whole accidental universe - because, like Spinoza 's God, it won't love us in return." Dad was a recognized artist (Zukra-9) and community figure (Surya-11). Lagnesha Surya shows the son's identification with the Father's intelligence and the son's participation in the father's social network. 6/8 shad-ashtakya angle between mom (Chandra-8) and dad (Surya-1) would suggest that the parents were ill-suited, and that the father's personality was greatly dominant. Mom may have felt as if she were under camouflage, pretending to maintain marital agreement for social appearances but emotionally experiencing considerable distress. Yeats' parents were well-known in their district and history records that after a very brief courtship, they married in 1863. Dad was a handsome, well-spoken law student with a bright financial future that was professionally aligned to mom's industrial family affluence. However, dad's law student status was only instrumental. He intended to look good (likely dad was a narcissist) in order to marry money. And he did, and he did. Six children followed swiftly, and their financial troubles became extreme. Dad moved the family back and forth between London and Ireland, seeking opportunity to develop his artistic genius (Surya-1) They borrowed large sums from mom's father and lived in perpetual debt (6/8). Mom wanted a quiet dignified life while dad was self-oriented, politically active, and brash. Politics was a major stress factor. Mom held deeply conservative political views (Makara) while dad was a liberal-minded Irish Nationalist. The marriage was unsustainable. When in Ireland, the children (including young William) spent most of their time at the home of their maternal grandparents. Mom deteriorated psycho-mentally and was institutionalized toward the end. Chandra in classroom-8 rules nichha-Kuja in bhava-2 indicating an emotionally adversarial family culture with a quality of clinging, strangling, emotional blackmail Yeats' mother slowly went insane..
Susan Pollexfen = mom hailed from a wealthy industrial family. She believed that she was marrying a high-potential attorney but he deceived her by abandoning law school soon after the marriage in order to pursue art (and a libertine lifestyle). Kuja rules Arudha lagna Meza-bhava-11 . Despite the family's indebtedness and occasional conditions of material scarcity, they were indebted to their own grandparents not to a bank or an outsider. Therefore the guilt stayed within the family and Yeats' childhood was not deprived. He had education, clothing, art lessons, and heated homes. As an adult he received a university education. nichha-Mangala-2 drishti to bhava-5 = 3rd-from-3rd =drives the writing production. Yeats wrote in detail about his sexual (Mangala) experience both in and out of the marital bedroom (Budha-12). Budha in bhava-12 = private clairsentient communications. As an occultist, Yeats produced automatic writing channeled from spirit guides. His Nobel-Prize winning (1923) collection of interiority-oriented poetry and theatre had a distinctively other-worldly quality. 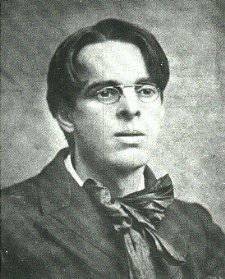 Yeats married age 51. His wife age 25 was a family-oriented person, who bore two children and cared for family affairs not least the treasury which would form her children's inheritance. Aware of Yeats numerous affairs, she did not challenge for divorce but rather maintained control of her domain. Zukra-yuti-Ketu would suggest a permanent ennui in Yeats' relationships. Indication for one marriage along with many disappointments, abandonments, and failed attempts. The wife and all of the unfulfilled potentials (Ketu) remain within the friendship network due to Zukra-yuti-Ketu located in community-11. Yeats was a lifelong occultist whose investigations were engaged in dissolving the veils between layers of metaphysical-vs-physical realities. He founded several important mystical societies and took a patronage, professorial, priestly role in them. As dharmesha residing in politics-5, Uttama-Shani is exceptionally strong in Shad-bala (the six weights). 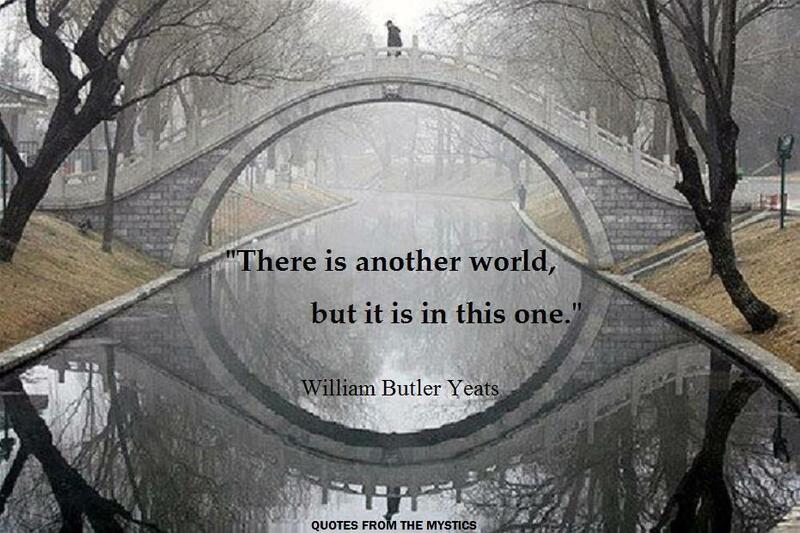 Yeats was a man of diverse interests, multiple creative abilities, and catalytic relationships. In addition to works in theatre and drama as represented by his 1932 Nobel Prize for Literature. Yeats persistently contributed leadership effort to ranks and rules of lawful public order. He was a leading figure in organizing and supporting the literary and theatrical community in his homeland. A distinguished poet and literary figure, due to Shani in 10th-from-Chandra Yeats also served in governance roles as a two-term Senator for the new Irish Free State. Rahu in bhava-5 * passion for politics, celebrity, games * in swabhava of Splendid Surya, the Shadowy Specter seeks privilege via glamorous or unusual children; out-of-bounds creativity, and amplified poetic romance; Risk-rewarding Rahu generates a charismatic individuality, center-of-attention displays of creative genius. Desires a special, important role in performance arts, literary arts, entertainments, royalty roles, pageantry, celebrity events, or dramatic splendor. Exciting, opportunistic, ambitious children and lovers. Rahu the Poseur may wear the persona (mask) of a dramatic actor, a celebrated intellectual, or a politician. Craves the center stage, the lights, the glory. Rahu-5 trespasses the cultural boundaries in matters of unique personal creativity, children, speculation, gaming. Seeks flamboyant fashion, exceptional offspring, and the thrill of political theatre. 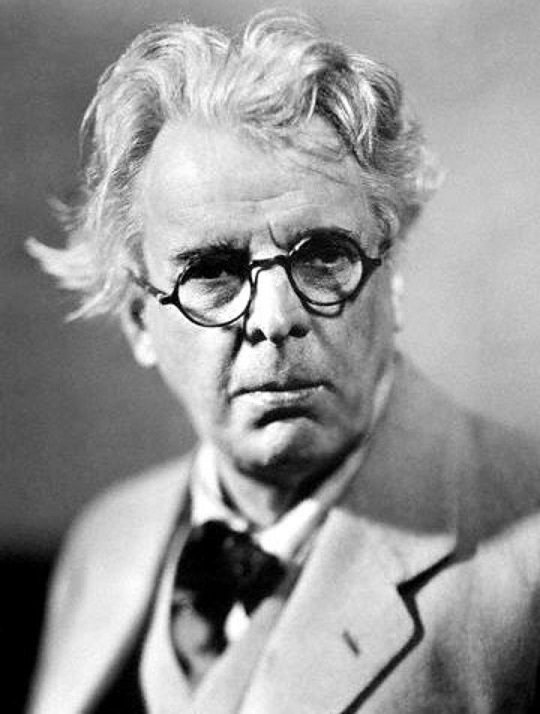 Typical of mix-master Rahu, when he was awarded Nobel Prize for Literature, Yeats used the prize prestige to promote the native traditions of Ireland -- although he was then living in France.